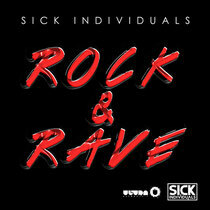 It’s been a fast rise for Sick Individuals. With two Beatport No1s secured in as many months last year, Jim and Ray have continued with new tracks into 2014, including the just released, ‘Rock & Rave’, which is out now on Ultra Records. Premiered on the YouTube channel Proximity, the track has already clocked up over 100,000 views in the space of a week. An aptly named track with swooping synths that complements the big-room sound that Sick Individuals like to play, the track hits all the right notes and should be a big one for the Dutch duo as the summer festival season approaches. Having already dropped remixes for the likes of Avicii and David Guetta this year, the duo are gearing up for another big year. Now, off the back of their first ever Australian tour, the Dutch duo have their eyes set on the States for their Rock & Rave tour. Check the track out below.